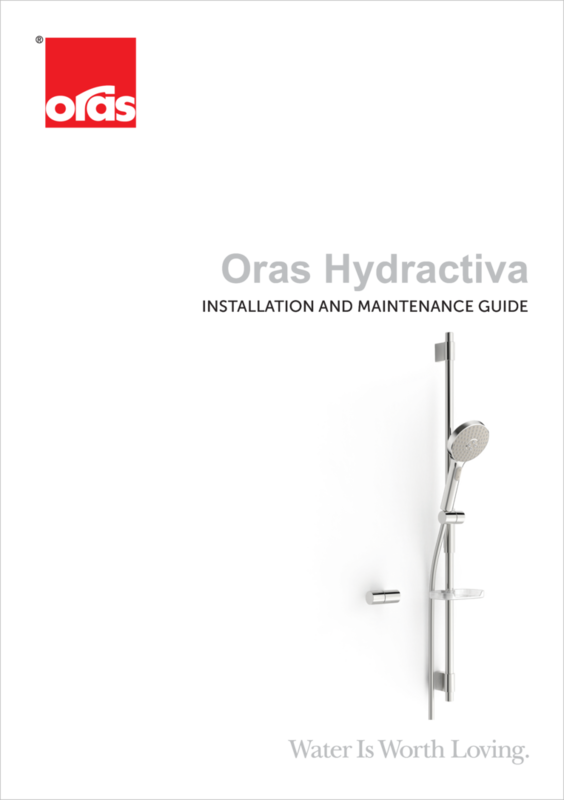 Oras Hydractiva Style shower set including hand shower, adjustable max 740 mm shower rail, soap tray, wall bracket and 1750 mm shower hose. Hand shower with 3 spray modes: Sensitive (large & gently), Intense (powerful) and Pulse (massage). With limescale protection tecnology. Max. flow rate 15 l/min (3 bar). white spray face, shower head size 110 mm x 120 mm.